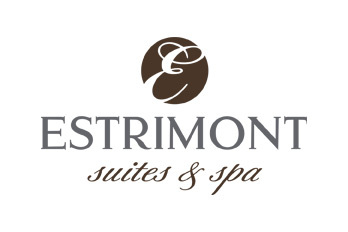 By accessing and browsing the website for Estrimont Suites & Spa (« Estrimont »), you confirm your acceptance of the following terms and conditions (the « Terms and Conditions »). If you do not accept to be bound by these Terms and Conditions, please leave immediately. All content, information, data, photographs, images, videos, software, trademarks, logos, designs, publicity slogans and/or other material protected by copyright appearing on this website ( the « Content ») are the exclusive property of Estrimont or the property of third parties who granted permission to use such Content on this website, or both. All Content is protected by Canadian copyright and trademark laws. Unless prior written authorization has been given by Estrimont, all content included on this website regarding the services offered by Estrimont in Canada is provided for informational and promotional purposes only. You are not authorized to modify, reproduce, reedit, transfer, forward, transmit, publish, distribute or create derivative works of the Content without Estrimont prior written consent. However, you may download, print or reproduce the Content for personal use and/or in other circumstances permitted by law, provided that you keep all copyright notices or other legal notices it may contain. All unauthorized use of the Content will be considered as a violation of Estrimont intellectual property rights. Estrimont does not guarantee the quality, accuracy or completeness of any information on this website. Such information is provided in good faith, on an « as is » basis without any warranty or condition. The Content of this website may include technical inaccuracies or typographical errors. Furthermore, Estrimont does not guarantee that the Content of this website will be uninterrupted or error-free, and will not be held responsible for any damage resulting from any virus, worm or other destructive or invasive computer program. At no time will Estrimont accept responsibility for any direct, indirect, incidental, consequential or other damage resulting from the use of this website, or in connection with its Content. You are solely responsible for the use and/or the interpretation of all the Content of this website. This website may include links to other websites owned by third parties. Please be aware that Estrimont has no control over the content of those websites. Therefore, Estrimont cannot be held responsible for the information contained on such websites, and does not offer any guarantee or make any declaration in this regard. Estrimont reserve the right to cease offering of any packages or deals offered on this website or to modify any specification related to these products without notice and without incurring any liability. By accessing and browsing this website, you accept to compensate and exonerate Estrimont, its subsidiaries, shareholders, directors, officers, employees, mandataries and licensees for any losses, costs, damages, claims, penalties or other expenses (including reasonable legal fees) which may result from your use of this website or from any other alleged violation of the present Terms and Conditions. Sign up to our newsletter and enjoy exclusive benefits, like 20% off your next reservation.